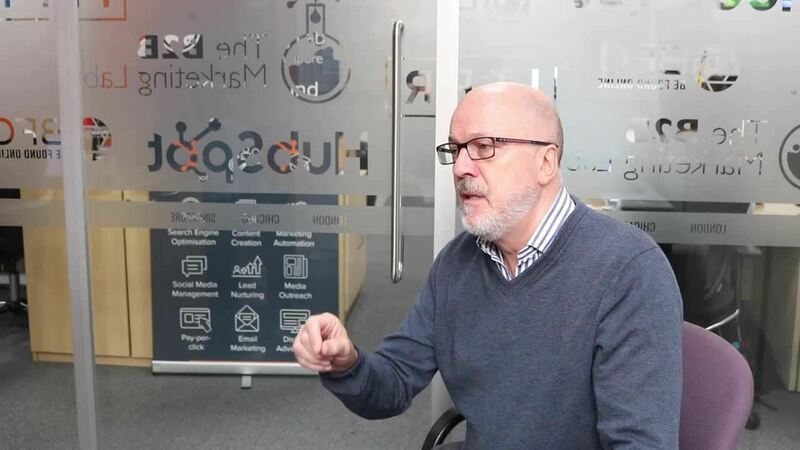 In this week's video and blog, the author and curator of No More PR & Marketing Bollox, Bob Dearsley, discusses corporate messaging and how businesses can easily encapsulate what it is they do. Each time I talk to a group of executives from a company that’s a client of ours, I always start by giving them a seemingly simple task: explain what your business, product, or service does in 25 to 30 words. Wrong. 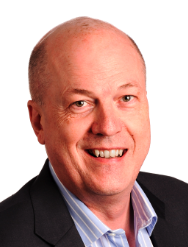 In most cases, when I pose this to my clients, it is the first time the managing directors, sales directors, or chief execs have ever thought about doing it. In most cases, they can all do it—the problem is they just can’t do it very well. The results are invariably full of jargon and assumptions about their audience, which makes them difficult to use. Furthermore, each person in the room usually has a different view of what’s important. In fact, it would hardly be an exaggeration to say that the average CEO needs at least 30 PowerPoint slides to explain just what, exactly, he or she is peddling to the market. No marketing fluff statements. No hyperbole. No use of the word ‘leading’ (because everyone says it and it therefore means nothing). Check out the video below for a brief and concise explanation of exactly what all of this means for businesses. It’s easy in the world of slick marketing campaigns and viral social media phenomena to get caught up in building a company that makes bold, aspirational claims, such as Red Bull’s famous “It gives you wings”. Too often, I see managing directors and sales directors getting confused between their “it gives you wings” tagline and their “does what it says on the tin” corporate descriptor, which is what is really important from a corporate messaging standpoint. The problem with focusing on the former tagline is that when you’re starting out and building an effective PR and marketing strategy, you can’t attack the B2B marketplace in that aspirational way. It just won’t work. Don’t forget, Red Bull is a carbonated, caffeinated and non-alcoholic beverage. And it was the advertising people who decided it gave everyone wings. To put it into perspective, if a journalist asked you to describe the business, “it gives you wings” isn’t very helpful! It is absolutely vital to deeply consider your corporate messaging and go through the process of figuring out how you’re going to engage with the market, especially when it comes to what phrases and key things you want your prospects to understand about you. It bears repeating that if you don’t go through this process, it’s very unlikely that you will be able to sensibly present your product and service offerings to the marketplace in a clear and easily understandable fashion that will lead to more business. Despite the fundamental importance of corporate messaging, too many new SME businesses blithely enter the marketplace without sufficient preparation. To make an impact and to get noticed—particularly by journalists and media—you need to make it absolutely clear what you do. It just isn’t possible to engage with an audience, generate interest and develop leads and enquiries unless it is immediately obvious what it is that you do for your customers. Work it out, write it down, put it on your website. Give it to everyone of your employees—you want the person who answers the phone all the way up to the senior directors to be reciting it from memory—and repeat it over and over again. If you have ten people telling the same story and giving out the same message to prospects, you are ten times more likely to have it stick in people’s minds and for other people to repeat it. If you have a hundred or a thousand doing it, you are running the risk of making it the truth! The truth is what everyone repeats to their friends and contacts – that’s your message. It needs to be believable, understandable and clear. Stop putting it off – make sure your corporate messaging is one of your businesses imperative New Year resolutions! 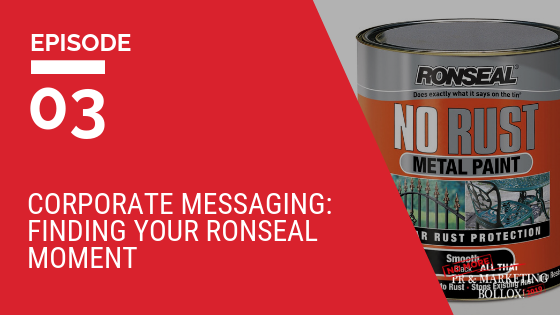 Closing tip: Reach your Ronseal moment—and make sure everyone in your company knows about it. Missed last week's video, you can watch it here. Find out more about why the PR and marketing world is inundated with "bollox" and what we're doing to stop it.